The third annual bike ride in memory of LCpl Layton Crass was held on July 21, 2013 in Richmond, IN. LCpl. Crass was killed in Afghanistan on June 14, 2008. This bike ride was held to honor him, and his fellow warriors of 2nd Battalion/7th Marines who lost their lives or were wounded, in OIF 2007 and OEF 2008, and those who suffer from PTSD. The 2/7 had a total of 20 killed in action, 160 wounded for those two years of combat, and seven more who lost their battle with PTSD since their return. All proceeds went to Purple Heart Hero Support (PHHS), an Outreach Program of MarineParents.com, in memory of Layton, and his wounded and fallen brothers of 2/7. PHHS provides support and services to wounded and ill military service members, including serving weekly meals to wounded heroes at the Naval Medical Center San Diego ("Balboa."). 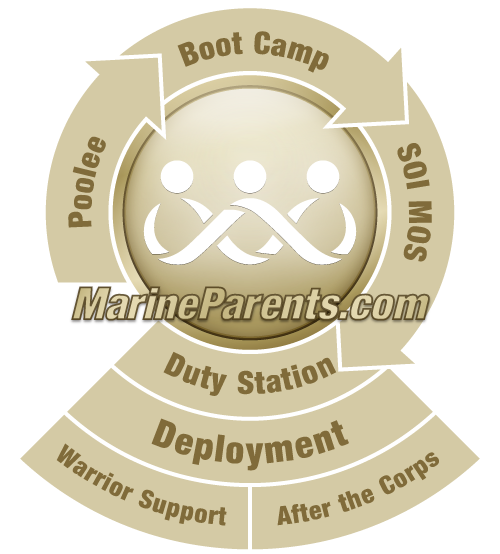 Since 2013, PHHS has transitioned to what is now the Warrior Support Team, a program of MarineParents.com.